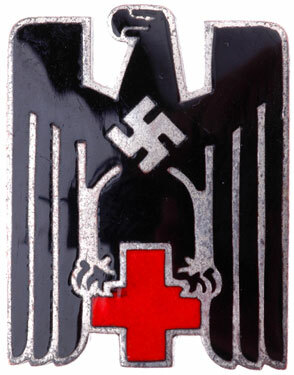 Enameled metal insignia, 20x26 mm, heavy duty soldered prong bar, maker marked "E.L.M. (Ernst L. Muller) Ges. 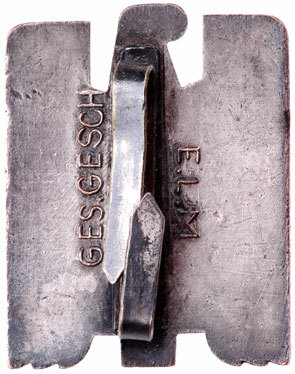 Gesch," light wear.